Stabilization is the ability to keep one part of your body in place (i.e., stable) while another one moves. For example, if you lift your thigh up to go up a step, your back should stay straight. Low threshold stabilization is a low level of muscle contraction that results when muscles contract sequentially. For example, if you’re sitting down and reach behind you to grab your coffee mug off your desk. High threshold stabilization is a high level of muscle contraction that results when muscles are all tightened. For example, if you’re standing in your garden and trying to pick up a 20 lb bag of potting soil. The distinction between “low” and “high” threshold core stabilization matters because they are appropriate for different tasks. More specifically, low threshold stabilization is ideal for light tasks of daily living (e.g., rolling over in bed), but dangerous when the activity involves high forces (e.g., picking up a toddler). Using low threshold core stabilization for high force activities can put stress on ligaments and joints. Conversely, using high threshold core stabilization for low force activities is maladaptive and can result in muscular pain, as the constantly contracted muscle reduces its own blood supply. 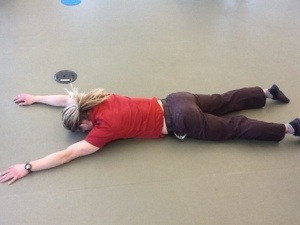 In a previous blog post (see here) I discussed how to train high threshold core stabilization. 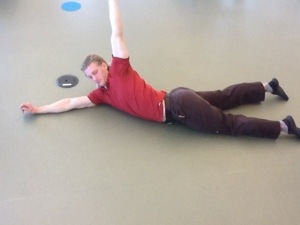 Here I write about rolling for testing and training low threshold core stabilization. When you were born you could not roll. Instead, when placed on your back you were stuck in place like a turtle. About four months later, you had gained enough control of your head to roll over. Like most infants, you were probably able to roll from your belly to your back before being able to roll from your back to your belly. You rolled like a log, lifting your head up, tipping it to one side, and flopping over. It wasn’t smooth or pretty, but it was your first accomplishment in locomotion. By six to eight months your rolling was smoother and more deliberate because you have developed low threshold core stabilization and could sequentially rotate segments of your small body. You were no longer just flopping over, but rather practicing fine control of rotation — the precursor to that home run you hit in little league, and later the ability to twist and reach your daughter’s sippy cup on the floor of the back seat. Well, you can probably still make your way from back to belly and back, but that does not mean that you’ve retained low threshold core stabilization. That is, adults roll using all sorts of methods, not all of which elicit the smooth and deliberate motion you had at six to eight months of age. There is, however, a specific type of rolling that has been developed as an assessment of low threshold stabilization. 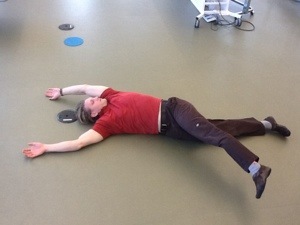 The rolling test described below is part of the Selective Functional Movement Assessment and is described in further detail by Voight and Hoogenboom . 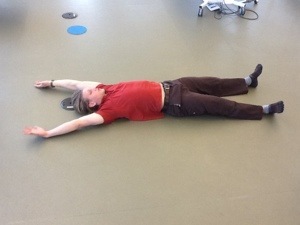 Try to roll over to your belly by moving only your head, neck, and right arm. 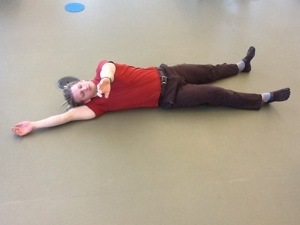 Reach across your body, turn your head toward the left shoulder and make your left arm and leg as long as possible. Leave the rest of your body completely relaxed, it is just along for the ride. No tightening of your core, no pushing with the legs. Now try coming back with the same arm. 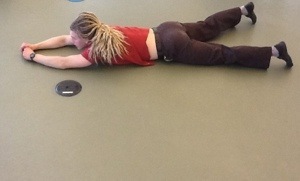 Then repeat both rolls using only the left arm, neck, and head and turning toward the right shoulder. 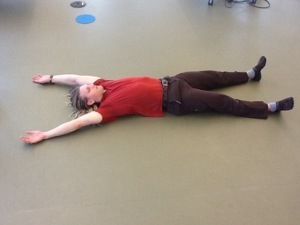 Try to roll over to your belly by moving only your left leg and pelvis. Leave the rest of your body completely relaxed, it is just along for the ride. No tightening of your core, no pushing with the arms or the other leg. Now try coming back with the same leg. Then repeat both rolls on the other side. Was one side more difficult than the other? Did you feel stuck? The inability to accomplish these rolling tests indicates a dysfunction in your “fundamental” (i.e., most basic) rotational stability. While I’ve yet to see any research studies investigating a relationship between difficulty in rolling and risk of injury or impairments in performance, in theory this type of dysfunction could do just that. For instance, if you cannot roll smoothly but are still hitting golf balls you are likely compensating in a way that overloads certain joints—this is also more inefficient, as you are also disrupting the smooth transfer of force from your feet to the ball. With this in mind, I start with rolling for both patients with instability-related back pain and rotational power athletes (golf, baseball, hockey, soccer etc). A fundamental rotational stability dysfunction can be the result of stiffness, weakness, or impaired motor control, or all of the above. Figuring out what is limiting your rolling is a complex task. I recommend seeing a professional (e.g., physical therapist, chiropractor, athletic trainer, or body worker) who has SFMA certification (SFMA stands for Selective Functional Movement Assessment). There is also a simple home exercise you can do that will clear up a mild rotational stability dysfunction: assisted rolling. Do the same rolling tests described above with a something wedged under one side of your body to make it easier. Start with a thick blanket folded up a few times under one hip and shoulder. When you are able to complete the roll smoothly, unfold the blanket a little to reduce the assistance until you are able to roll on the ground. Half of a foam roller (i.e., a foam roller that has one flat surface) would also work. Spend about 3 min in the morning and 3 min in the evening working on rolling, spending most of the time on the most difficult rolling direction. 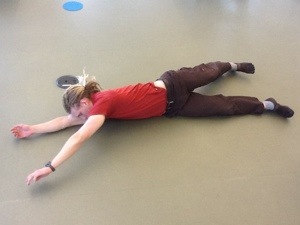 Keep in mind that rolling is a low threshold stabilization task… so breath slowly using the belly and relax.